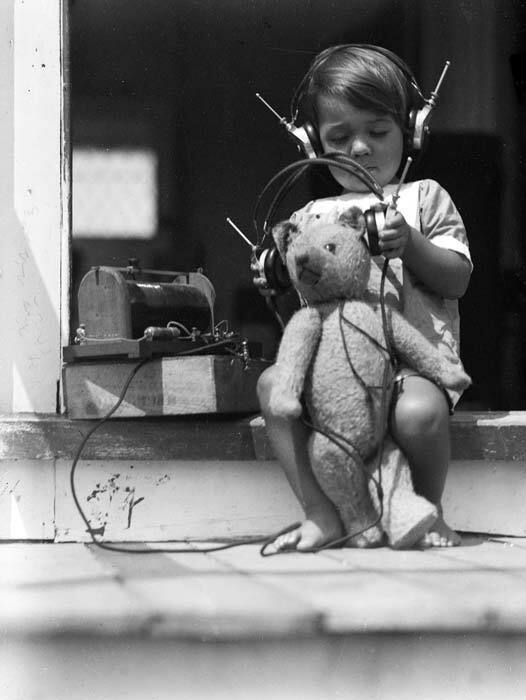 Robert Emirali and his teddy bear listen to a crystal set radio in 1928. Teddy bears became one of the most common toys for the very young from the early 20th century. Children were always keen to play with new technology, including the crystal set, an early radio receiver.